Tall, pacy, capable of generating good bounce and cutting the ball both ways off the seam -- Ishant Sharma has all the attributes that a genuine fast bowler should possess in his armory. For a man who made his debut in May 2007 as a teenager, he has often flattered to deceive. In fact, a few cynical fans had given him the nickname I Shan’t. Most Indian supporters still fondly remember his dream spell to Ricky Ponting at Perth, a spell that Ponting himself rated as one of the best he had ever faced in Tests. However, after a point in time a player has to start delivering the goods instead of commanding a place in the team just on promise and potential. Fast bowling is hard work and fast bowlers from India, who bowl on unforgiving tracks, need to be given a longer rope than most. At the conclusion of the 4th Test against England, Ishant had played 86 Tests and has taken 253 Test wickets. The table below shows Ishant’s career around the world. Ishant is one of just 71 bowlers to have claimed 200 Test wickets in Tests. On paper, that may look like an impressive feat but a closer inspection reveals some glaring truths. He has the worst bowling average amongst all the 71 in this elite group. He also has the joint 9th worst economy rate amongst all the 71. While taking 200 Test wickets in itself is impressive for an Indian fast bowler, his stats are quite modest. Amongst all the 43 bowlers who have taken a minimum of 250 Test wickets, Ishant is the 2nd slowest to reach that number after Jacques Kallis, who reached the milestone in 127 Tests. Kallis was an all-rounder who batted at numbers 3 and 4 in the batting all-rounder slot, and used to come in at second change with the ball after a battery of top class new ball bowlers. Ishant’s record in SENA countries is also mediocre as he has taken just 103 wickets from 33 Tests at an average of 40.16 and a strike rate of 70.1. So, is Ishant lucky to have played 86 Tests and is he an average bowler? Not quite. Sanjay Manjrekar recently said that Ishant is a late bloomer. For many years, a major grouse against Ishant over the years is that he has been a yard or so too short and therefore batsmen can play him off the back foot and their edges don’t carry to slip. However, a stint in county cricket with Sussex in 2018 has led to improvement in two areas. He has learnt how to swing the ball, as opposed to just moving it off the seam, and he has started to bowl a lot fuller, which results in edges carrying to the slip cordon. Since the start of his Test career against Bangladesh in May 2007, Ishant has missed as many as 36 Tests for India. The reasons have been injury, poor form and India fielding just one or at most two pace bowlers in the XI when playing at home. Ishant has shown a lot of improvement in the last 3 years in Tests. The table below gives his Test record in various phases of his career. He took 8 wickets in the 3rd Test of the series in Sri Lanka in 2015, and since then his bowling has improved in leaps and bounds. Indian fast bowlers cannot be expected to take 4 or 5 wickets a Test like their counterparts from different countries, as around half of their Tests are played on spin friendly pitches at home. But Ishant has shown rapid improvement in the last 3 years. His bowling average, economy rate and strike rate have improved by 30.1%, 18.7% and 14.22% respectively compared to the first phase of his career. Ishant has the best economy rate of the 3 and the 2nd best average amongst the 3. This shows that even if he is wicketless, he doesn’t go for a lot of runs. The next table compares Ishant’s record with the other prolific pace bowlers in India’s Test history. The number of wickets that Ishant takes per Test is 16.48% less than that of Javagal Srinath. Therefore, we can conclude that Ishant has shown great improvement over the last 3 years but still has a long way to go before he can be compared to the other accomplished pace bowlers of India. Another point to note is that out of the 66 players who have represented their country in a minimum of 100 Tests, only 6 have been solely pace bowlers. The others have been batsmen, spinners, wicketkeepers and all-rounders. This shows the enormity of the task of bowling fast for your country without having another string to your bow. 6 more pace bowlers, apart from Ishant, have played between 86 to 99 Tests. 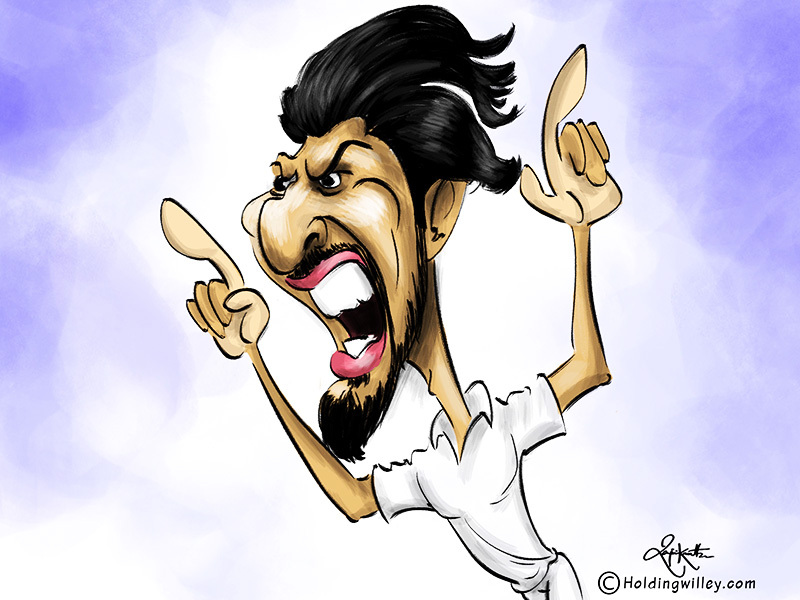 Ishant might go on to become the first out and out fast bowler to play 100 Tests for India. Ishant 2.0 is a far more improved version than I Shan’t 1.0. It is time to look at his career with a fresh perspective and give him his due.